Concussion Media is the leading marketing agency for search engine marketing (SEM) promotions. Due to our experience in operating internal and external web properties, we have extensive experience in driving targeted, high-quality traffic via SEM to such properties in addition to setting up and managing multiple accounts for domestic and international clients. 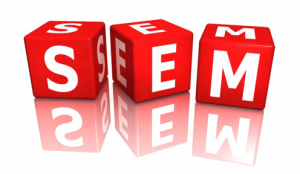 Search engine marketing used to be an umbrella term for all search related promotion including search engine optimization (SEO) but over time, the online marketing industry has adopted SEM to refer only to paid search efforts. Although the majority of 1st and 2nd Tier SEM platforms provide “how-to” guides and do-it-yourself tutorials for SEM, there is still layers upon layers of details and requirements that need to be taken into consideration for an ad to successfully take off. It takes multiple rounds of trial and error to figure this out.